My grandfather John E. Hochmiller started the company in 1976. Partners in the business include my Grandma Elea, and my Dad, John Hochmiller Jr. John Sr. and Elea have passed away within the past few years, and John Jr. is now the sole owner. We’ve been in business for 40 years on August 17, 2016. We’ve lasted 3 generations and are a healthy, growing business. My favorite part of our facility is our 16,000 sq ft warehouse. To me, it exhibits our ability to grow without having to worry about shelf space for a while to come! When I was a kid, it was like we had 100 different mini warehouses; like old storage trailers and van boxes that I remember organizing, cleaning, scrapping out, and reorganizing. More than ever before, it has helped us store and organize cleaner, quality, well-inspected parts with good pictures and more complete details. It’s a beautiful sight. Our strength and specialty are in medium and heavy duty trucks. This includes trucks like Ford F700’s, GM Topkicks, Kenworth’s, Freightliners, Isuzu’s and other import cab overs. Our staff is particularly qualified to sell parts within our specialty. We also specialize in rebuilding transmission and differentials. 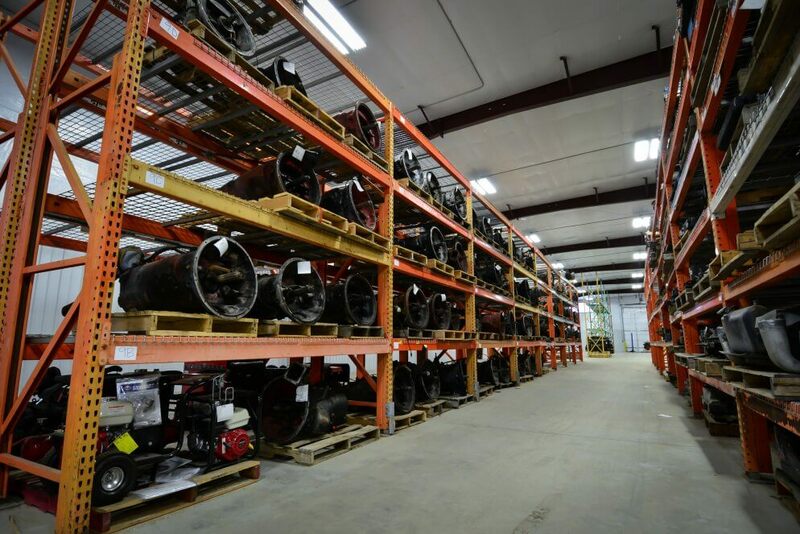 We like to sell all parts – the big ones, the small ones, the new ones, the used ones. My point is, we’ll sell anything! Some yards will not split up doors to sell door handles. Some won’t sell switches, small air valves, harnesses, hubs, spring brackets, small dash pieces, and so on; we do! That’s what makes us different. Our focus is not the bottom line or puffing up our sales numbers. Our focus is making our customer’s happy, getting them back to work, and giving them a reason to come back. We’ve had a lot of dogs over the years. Some have been a couple of mean looking german shepherds, stereotypical “junkyard dogs.” Currently, though, our most terrifying yard pet is Ella! Ella is the most feared schnauzer this side of the Rocky Mountains. She will make sure that anyone that comes into contact with her knows that. What is one of the craziest things that have happened at the yard? In my memory: Years ago we had an accidental tire fire in the back of our yard, which then lit a couple skeletons of charter buses on fire. Days after putting that fire out, the fire trucks were back out to put out smoldering tires that had reignited. In the 90’s, there was also a large fire at Tire Mountain just north of us 1/4 mile or so. That facility has over 60 acres of tires.